For years, owners of older General Motors trucks have been complaining about their brake lines corroding and demanding a recall. The National Highway Traffic Safety Administration (NHTSA) dutifully studied the issue for five years and today came up with a decision: no defect, no recall. Instead, says NHTSA, consumers who live in areas where salt is used on icy roads in the winter should wash the underside of their vehicles. The salt causes rust and corrosion not only in GM cars and trucks but also in comparable vehicles made by other manufacturers. The agency's findings echo what GM has been sayiing all along. "Brake line wear on vehicles is a maintenance issue that affects the auto industry, not just General Motors," said GM spokesman Alan Adler in January 2014. "The trucks in question are long out of factory warranty and owners' manuals urge customers to have their brake lines inspected. 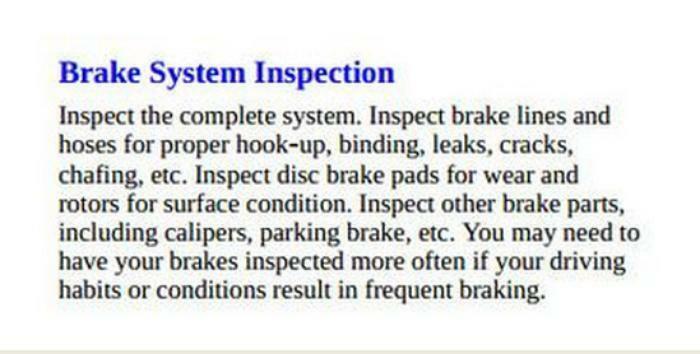 In fact, more than 20 states require brake line inspections at one- or two-year intervals or when stopped for a violation." This will not come as much comfort to the many consumers who have argued that GM is to blame for the corrosion but at the very least, the continuing publicity has alerted motorists to the risk. "I now have a better awareness of this matter when I pull up to intersections," said a Silverado owner named John who wrote to us recently. "I always check for the white knuckles of other Silverado owners stopping behind me or those trying to stop while flying through intersections." Maintain their vehicle and prevent corrosion by washing the undercarriage regularly throughout the winter and giving it a thorough washing in the spring to remove road salt and other de-icing chemicals that can lead to corrosion. Monitor the brake system for signs of corrosion by having regular professional inspections and watching for signs of problems, including loss of brake fluid, unusual leaks and a soft or spongy feel in the brake pedal. 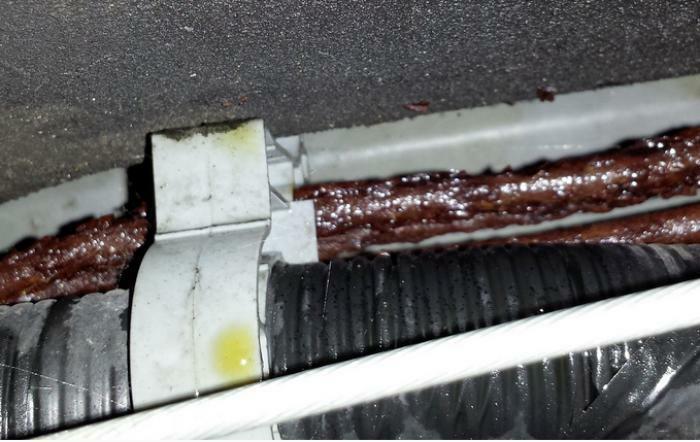 Address severe corrosion, marked by flaking or scaling of the metal brake pipes, by having the full assembly replaced. “If you own an older vehicle and live in a cold-weather state where salt and de-icing chemicals are common in winter, we strongly urge you to take these steps,” Rosekind said. NHTSA’s investigation stemmed from a vehicle owner’s petition in 2010, and covered about 6 million model year 1999-2003 GM Sierra, Silverado, Avalanche, Escalade, Suburban, Tahoe and Yukon vehicles. NHTSA said it examined consumer complaints for brake line failures for all types of light vehicles and analyzed safety inspection data collected in Pennsylvania from 2008 through mid-2014. The agency’s Vehicle Research and Test Center in Ohio conducted a survey that gathered data from approximately 2,000 owners of GM and peer vehicles from the period. Investigators also examined 71 randomly selected vehicles in Massachusetts, New York, Maryland and Ohio. In responding to consumer gripes, GM's Adler has pointed out that the owners manual for Silverado pickups, among others, recommends inspecting the brake lines and replacing them when necessary. 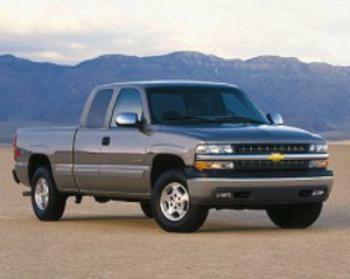 We found a copy of the owners manual for a 2004 Silverado and, sure enough, there it is. While NHTSA received substantially more vehicle owner complaints about all types of GM vehicles than similar vehicles from other manufacturers, the higher rate of complaints appeared to be at least in part related to public attention given to the investigation, the agency said. NHTSA said its investigation found that both passenger car and light truck vehicles are subject to similar corrosion-related failure rates. The coated steel brake pipes in GM’s vehicles under investigation were similar to materials used by other manufacturers at the time. Beginning in the late 1990s, manufacturers transitioned to plastic-coated pipes that are in use today. What’s up with declining hybrid sales?